17 Jan 2019 --- A new blockchain platform promises to take food transparency to the next level by allowing consumers to easily track the provenance of what they are buying while helping businesses stamp out unscrupulous operators. OpenSC can reportedly help businesses to remove illegal, environmentally-damaging or unethical products from their supply chains, giving consumers “peace of mind” about the products they are purchasing. 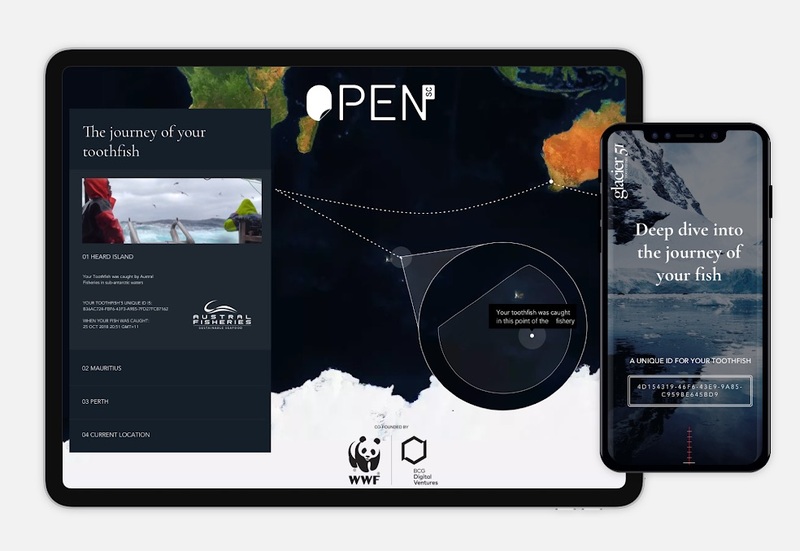 The new platform, launched by WWF and BCG Digital Ventures (BCGDV), comes as more consumers want to know what’s in their food and where it comes from. Sustainability and labor issues, ethical and environmental impacts, human and animal welfare as well as social injustices, are all transparency issues that are becoming increasingly important drivers for purchasing decisions. Agile companies have been taking on board sustainability and transparency in their products over the last few years with 2018 marking the year of the “Mindful consumer,” as pegged by Innova Market Insights. The increasingly thoughtful and mindful consumer is continuing to catalyze changes in the way that companies produce, package and label their products. The other element driving the “mindful choice” trend is about peace of mind while making a positive impact in the world, through ethical claims. There has been a 44 percent CAGR in ethical claims (2010-2016, global), which includes ethical animal/human/environment, but excludes ethical packaging. At the same time, the use of blockchain technology within the food industry and supply chains is steadily increasing as agile businesses tap into its transparency benefits and use blockchain-based systems to increase trust, traceability and security. 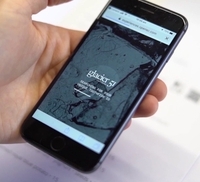 Click to EnlargeConsumers can discover the full history of a product by simply using their smartphone to scan the product’s QR code. Once the code is scanned, OpenSC automatically provides details regarding where the product came from, when and how it was produced and how it journeyed along the supply chain. With OpenSC, businesses can track their products, such as fish or beef, by attaching a digital tag (such as an RFID tag) at their original point of production. This tag is linked to a tamper-proof blockchain platform which automatically records the movement of the product through the supply chain. This system can also record additional information that is valuable for businesses, including the temperature of food throughout storage and transport. OpenSC empowers consumers to make informed purchasing decisions at the touch of a finger, according to Dermot O’Gorman, WWF-Australia CEO. “Through OpenSC, we will have a whole new level of transparency about whether the food we eat is contributing to environmental degradation of habitats and species, as well as social injustice and human rights issues such as slavery. OpenSC will revolutionize how we all buy food and other products as well, enabling more informed decision making by consumers, businesses, governments and industry bodies,” he says. “OpenSC is invaluable for businesses that are committed to sustainable and ethical operations. In addition to providing transparency about the origin of an item’s production, OpenSC helps optimize business supply chain operations, reduce costs, and enables producers to manage issues such as product recalls,” adds Paul Hunyor, BCGDV Managing Director and Co-Chair of the World Economic Forum Council on the Future of Consumption. The launch of OpenSC closely follows new research last month which found that shoppers favor items with a lower carbon footprint as long as they’re given clear information on the label. As part of the study by the University of Technology Sydney and Duke University, in Australia, researchers looked at improving consumer perception of the environmental impact of their food choices through the use of labeling. The OpenSC platform could appeal to businesses seeking to demonstrate that their products are produced in environmentally-friendly or ethical ways. The technology behind OpenSC was built to be highly compatible both with existing supply chain operations and sustainability certifications, but also to interface with other blockchain-enabled provenance solutions. Given this flexibility, any producer who is ready to provide transparency to their customers can be operating on OpenSC within a very short timeframe, notes BCGDV. “We are launching one of the world’s first ‘profit with purpose’ start-ups that uses blockchain to help achieve the Sustainable Development Goals (SDGs). OpenSC does this by using cutting-edge technology to help stamp out unscrupulous operators who fish in illegal areas, bulldoze virgin forests, or engage in slave labor,” O’Gorman adds. Austral Fisheries has committed to complete full implementation of OpenSC across its entire toothfish fleet in 2019. Austral is part of the Maruha Nichiro Group, the largest seafood company in the world whose President, Shigeru Ito, chairs the Seafood Business for Ocean Stewardship Council (SeaBOS) coalition which represents 20 percent of the global seafood market. 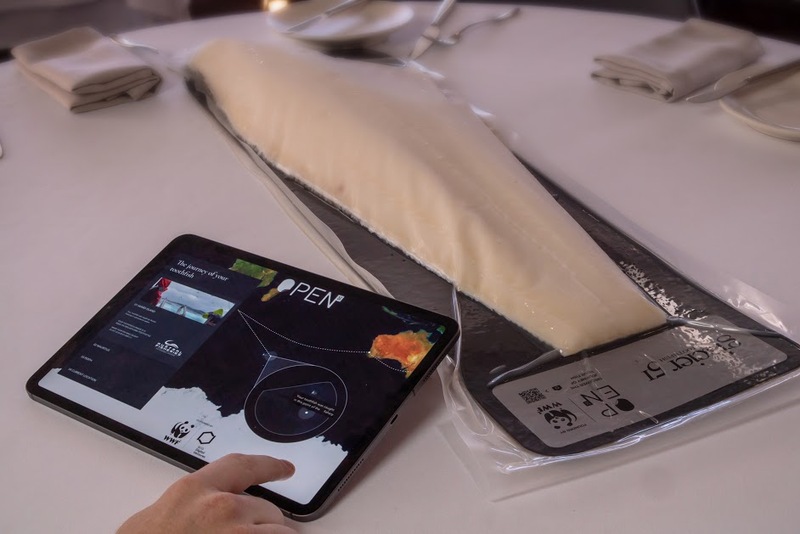 A special meal is being prepared to mark the launch of OpenSC where Australian chef Matt Moran will cook using one of the first products tracked using OpenSC, Patagonian toothfish. OpenSC-tracked produce will also be served at the World Economic Forum in Davos, Switzerland, on January 24 by WWF Director General Marco Lambertini and BCGDV CEO Stefan Gross-Selbeck. International business leaders with gather to enjoy a meal together and have full transparency of where their food has come from. “We have developed technology which can reliably pinpoint the exact location where each fish was caught and then use machine learning to demonstrate that all of Austral Fisheries’ toothfish were caught in a legal, MSC-certified sustainable fishery and in particular, that the fish were not caught inside a marine protected area,” adds Hunyor. Some examples of early adopters that have tapped into blockchain technology to improve food safety and contamination issues, include giants like Walmart, Nestlé, Unilever and Dole. These companies, alongside the likes of Driscoll’s, Golden State Foods, Kroger, McCormick and Company, McLane Company, Tyson Foods, are part of a consortium that joined IBM in 2017 in its efforts to further strengthen consumer confidence in the global food system. Rapidly pinpointing potential food contamination is one of the major virtues of blockchain. Last September, Walmart lauded the benefits of tracking lettuce and spinach through the supply chain using this burgeoning technology. The retailer is urging its lettuce and spinach suppliers to contribute to a blockchain database that can quickly and efficiently identify contamination. Suppliers are expected to have all these systems in place by this September. The move is aimed at seriously ramping up food safety following US outbreaks of E. coli in romaine lettuce and salmonella in a number of products from eggs to breakfast cereal. Vice President at Blockchain Solutions at IBM, Ramesh Gopinath, spoke to FoodIngedientsFirst at the Future Food Tech Summit in London last November, emphasizing how blockchain technology has the potential to revolutionize the food supply chain as manufacturers are forced to respond to consumer pressure around transparency of sourcing and the supply chain in general. Blockchain Traceability Sustainability Trust Ethics WWF BCG Digital Ventures Innova Market Insights Mindful Consumer Environment Provenance Supply Chain Food Journey.